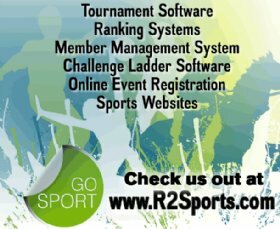 Join us for great racquetball and even better hospitality! We look forward to top pros Bobby Horn and Jake Bredenbeck returning to Pueblo and competing for their share of $5,000 in prize money! And speaking of returning to Pueblo, 3X US Open Doubles Champion Ben Croft will be hosting a FREE clinic Thursday before the tournament. Learn drills, strategy, and fundamentals from one of the best players in the world! No need to signup, just show up! There will be a free raffle entry for all clinic participants, with prizes including racquets, gift cards, t-shirts, racquetballs, and more! The clinic will be on Thursday, March 1st, from 6-7pm. We will be bringing back our past contests where you can win your entry fee back as well. Anyone who doesn't lose a single game throughout their Singles' draw will receive their entry fee back. Also, the player who plays the most total games throughout the tournament will receive their entry fee back. There will be more contests and giveaways throughout the tournament. As usual, we will be supporting our military with a discount. Show a military ID at check in and receive $10 back for 1 event, or $20 for 2 events.